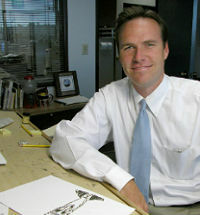 Steve Breen won the Pulitzer Prize for Editorial Cartooning in 1998 and 2009. His syndicated editorial cartoons appears nationwide and in about 300 papers around the United States. 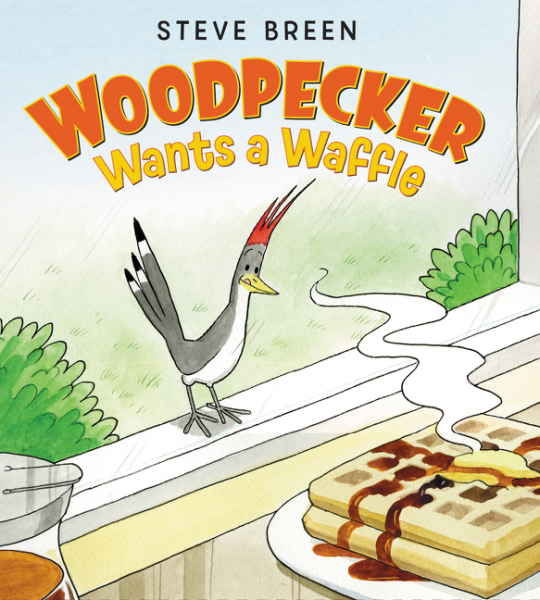 Breen has also penned and illustrated several children’s book titles, including Woodpecker Wants a Waffle (HarperCollins). Woodpecker Wants a Waffle (HarperCollins) is a delightful picture book with pitch-perfect humor and tons of visual gags that will keep readers coming back for more! One day Benny the woodpecker awakens to the best tummy-rumbling smell ever and discovers it’s something called waffles. He must taste them! He pecks on the door of the waffle house, but he gets the boot. He tries to sneak in, but he gets swept away. Each time Benny tries, he just can’t seem to get to those delicious waffles. The other forest animals laugh at him: “Woodpeckers don’t eat waffles!” they say. But Benny has a brilliant plan. Breen received a degree in political science in 1992 from the University of California at Riverside. He became the editorial cartoonist for the Asbury Park Press (NJ) in 1996 and in 2001, was hired by The San Diego Union-Tribune. Breen has also won the 2007 Berryman Award, the 2009 Thomas Nast Award, the 2010 Fischetti Award and the National Headliner Award in 2009 and 2013. Breen enjoys running, reading and playing the guitar. He lives in San Diego County with his wife and 6 children.